Shortly after 2 a.m. ET in New York, John Podesta, the Chairman of Hillary Clinton's campaign, announced onstage at the Javits Center that Clinton will not be conceding tonight, since the race has not yet been called, stating, "they are still counting votes, and every vote counts.” Update: During Donald Trump's victory he speech, he reported that Clinton called him to concede and congratulate him, a claim many news outlets confirmed. 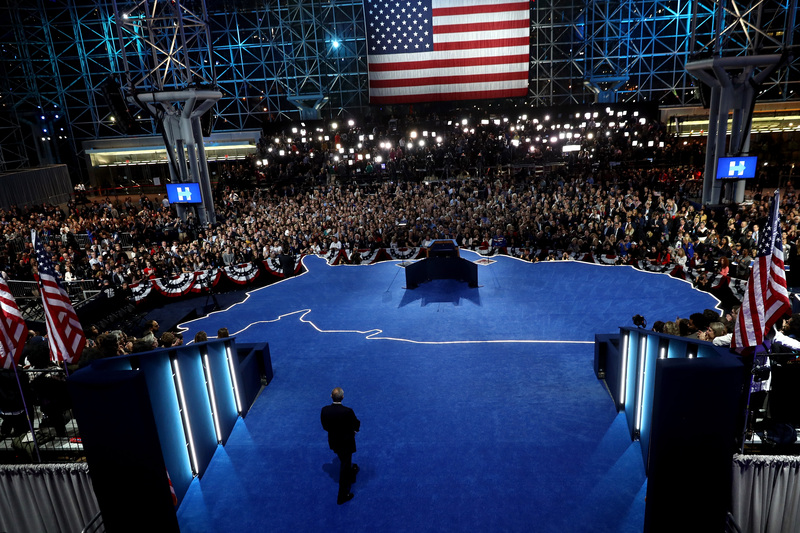 While the race has now been called for Donald Trump and sources are reporting that Clinton has indeed called to concede the election to him, it is still very unlikely that she will be giving a concession speech tonight, considering Podesta's earlier announcement and the fact that people at the Javits Center were told to go home at around 2 a.m., before the race was called. Waiting to give a concession speech until after Election Day is not unprecedented in recent U.S. history. For example, in 2004 John Kerry did not concede to George W. Bush until around noon on the day after the election, since he was still holding out on the possibility that he could win Ohio with provisional ballots that had not yet been counted on Election Day. And, of course, during the 2000 election Al Gore did not actually concede to George Bush until December 13 following the Florida vote recount. While Clinton is now not waiting on the outcome of the election and she has indeed conceded the race, it is logical that she might want to wait to give her concession speech to her supporters. Her supporters were already told to leave the Javits Center an hour before the results were announced, when the campaign was anticipating a longer wait for the final result announcement. Thus, if she delivered a concession speech right now, it would be to a much-diminished crowd. Furthermore, and more importantly, this election is really not like other past elections, and, therefore, it makes sense that Clinton may want to wait until post-Election day to give a speech in such unique circumstances. Trump's victory tonight was not anticipated in the polls and has been a shock to many. Clinton's victory was anticipated by many, and would have, had she won, resulted in the first female president of the United States. This election has been highly divisive for a variety of reasons, and, for many Americans, Hillary Clinton's loss is likely not just a political upset, but something that they feel very profoundly and personally considering the high stakes of this election. Clinton has done her Democratic duty and called Trump to concede the election and acknowledge his victory. But she is doing right by her supporters by allowing herself and them time to process the results and give them the speech they deserve.